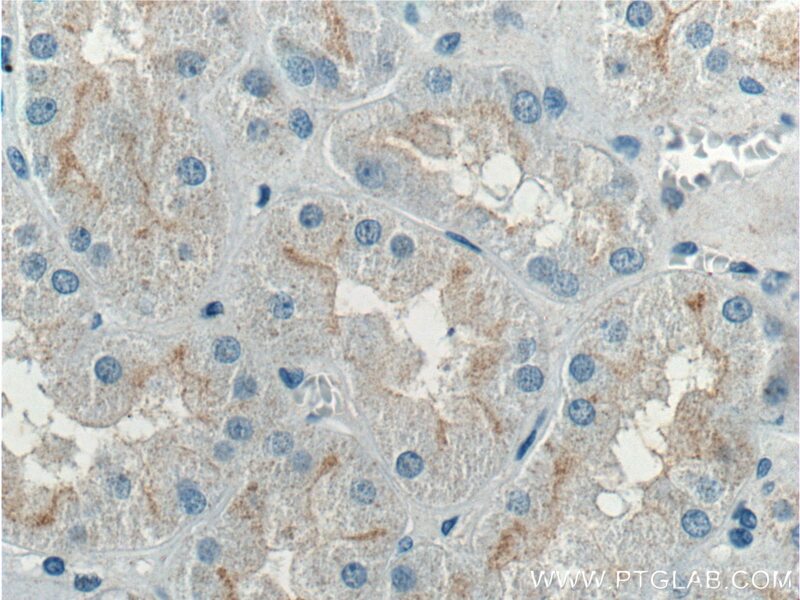 Immunohistochemical analysis of paraffin-embedded human kidney tissue slide using 27260-1-AP( Occludin antibody) at dilution of 1:200 (under 10x lens). 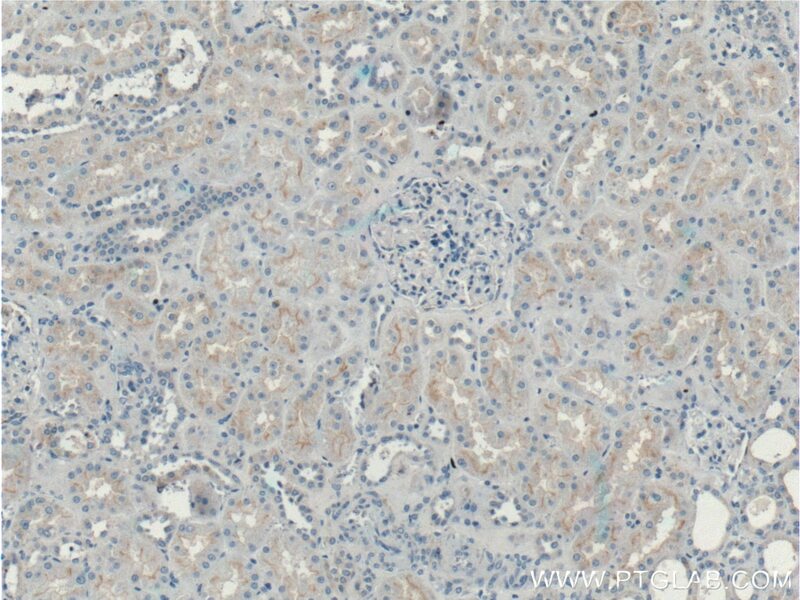 Immunohistochemical analysis of paraffin-embedded human kidney tissue slide using 27260-1-AP( Occludin antibody) at dilution of 1:200 (under 40x lens). 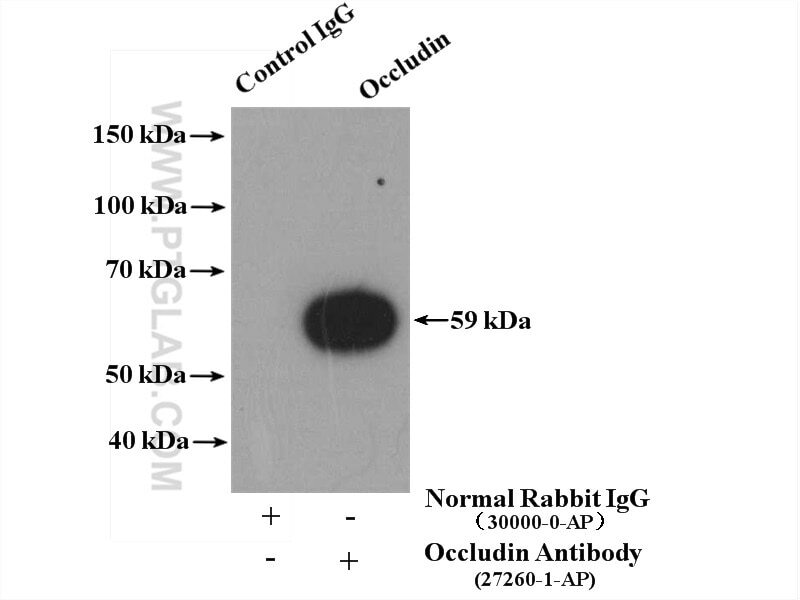 Occludin is an integral membrane protein located at the tight junction. It is a tetraspanin protein with four transmembrane domains, intracellular N and C termini and two extracellular loops. Occludin plays a role in the formation and regulation of the tight junction paracellular permeability barrier. Occludin can exist in different isoforms, owing to modifications at the posttranscriptional and posttranslational levels (PMID: 22083955). PD149163 induces hypothermia to protect against brain injury in acute cerebral ischemic rats. One-week exposure to a free-choice high-fat high-sugar diet does not disrupt blood-brain barrier permeability in fed or overnight fasted rats. Ischemia-Reperfusion Injury of Sciatic Nerve in Rats: Protective Role of Combination of Vitamin C with E and Tissue Plasminogen Activator. miR-381-3p knockdown improves intestinal epithelial proliferation and barrier function after intestinal ischemia/reperfusion injury by targeting nurr1. Rapid Communication: Porcine CRTC3 gene clone, expression pattern, and its regulatory role in intestinal epithelial cells. 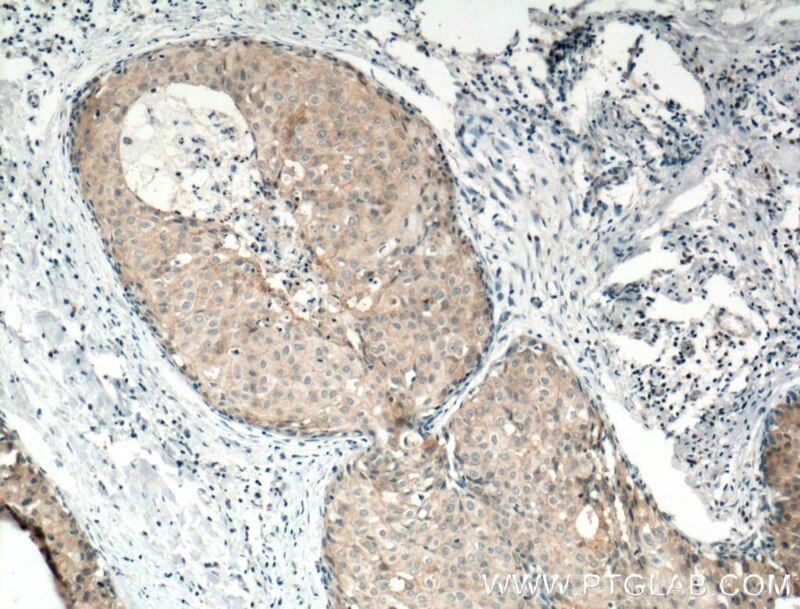 Immunohistochemical analysis of paraffin-embedded human breast cancer tissue slide using 27260-1-AP( Occludin Antibody) at dilution of 1:400 (under 10x lens). heat mediated antigen retrieved with Tris-EDTA buffer(pH9). 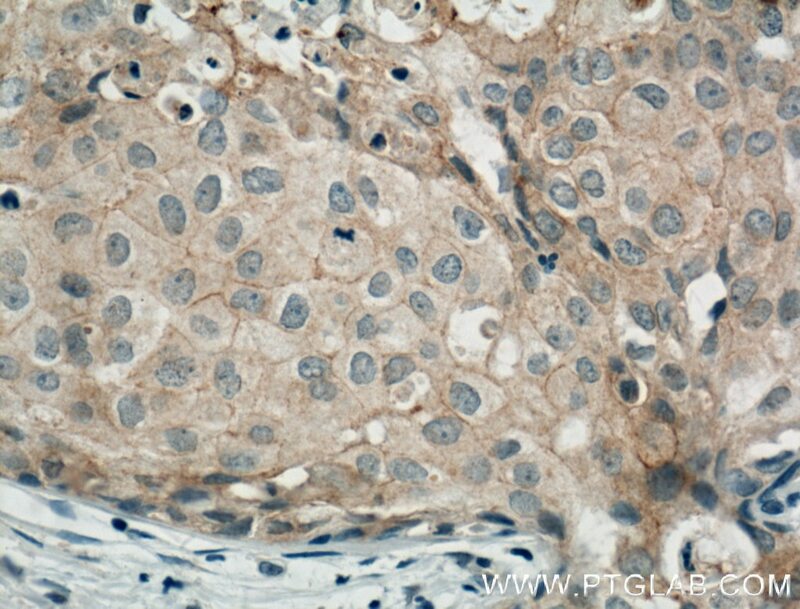 Immunohistochemical analysis of paraffin-embedded human breast cancer tissue slide using 27260-1-AP( Occludin Antibody) at dilution of 1:400 (under 40x lens). heat mediated antigen retrieved with Tris-EDTA buffer(pH9).